Planning an event means planning for various things simultaneously. Preparation of menu is one of its parts. Choosing the right caterer in this regard is one step to success of the event. For the successful organization of the event, planner has to draft best menu. If you want a successful event, then event planner should consider type of guests (attendees) at first. Business professional attends number of events throughout the year. Consider the professional level of guests, residence of your guests and ethnic background of your guests. For any event planner it is necessary to understand the likes and dislikes of your guests. Once you have general profile of your guest list, plan a menu that offers variety of food and beverages so that guests have options to choose from. Depending on age group, health conscious group or religious group arrange the taste to suit each group. As a host, it is your responsibility to entertain your guest and make the program best so that they always remember the program and you as well. The menu should address each and every guest. Event planners should always plan to offer several entrée or menu choices to ensure that all guests will be pleased with the meal. With many health related and religion issues and preferences, event planner should anticipate the special dietary requirements while planning a menu. Perhaps your guests have special diet they follow such as low fat, vegan and kosher. Before any event, it is important for an event planner to find out guests’ special dietary needs so that the catering manager can address those needs prior to the event. While drafting the menu, consider seasons too as it plays vital role in the selection of food and beverages. Including local and seasonal products in the menu can really reflect the time and place of your event. Another important factor is to consider the region or location of the event and popular food items from the local area. You can add in ethnic dishes or regional items based on the event location or theme to garner the success of the event. Having food items from various sources in the menu can make it attractive. Time is the most important and greatest guide to determine the menu for an event. Special occasions like Christmas, birthdays, anniversaries, etc. require special menus. 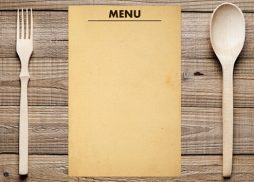 If the event is starting with breakfast or lunches, then menu should offer items that can hold up for longer periods of time without ruining the integrity of the food. Box lunches are best if you have time limit. When it comes to food, we first eat with our eyes followed by tasting. If a person does not like certain food but the presentation of food is good, then s/he may taste it. So planning of menu is essential for the success of any event.